During President George Herbert Walker Bush (The 41st President) Funeral, Brett Baier, with FOX News, mentioned A Letter by President Bush (41) to Live By. I have put together 12-Point Investment Plan for your Health/Fitness in Life. These are great items my grandfather gave me that still works today. These are great New Year’s Resolutions to make and keep during the year. This 12-Point Investment Plan can make a significant difference in your life and the lives of others. These 12-Point Investment Plan have minimum cost to you, but have incalculable benefits to enrich your life with personal achievements. During the year, we pause to make an assessment of our lives. We examine what we have accomplished, what our present state is, and what we would like to accomplish in the future. Usually these assessments are done at birthdays, anniversaries, and at the end of the year. Start an IRA, a 401-(k) plan, or 529 College Saving Plan and contribute at least 10% to the plan. Get at least an Associate’s Degree or Vo-Tech Degree. Learn a trade, in addition to your Degree. Develop a close friendship with at least one person not related to you. Pick an athletic activity that has a competition component. Read at least five books a year. Have a daily devotion with meditation. Have a fitness program, consisting of Cardio, Aerobics, Strength training. Develop a balanced diet program, based on a 925 Schedule. (SR925 MET Diet Program) This is a FREE Program. Take a 30-minute walk each day and have a routine Exercise program. (CASPER Fitness Program) at least 3 x per week. Drink at least 2 cups of coffee or hot tea each day. Write at least one article per week covering an activity you are interested in (e.g., sports, your career, technology, or inspirational). You don’t have to submit it for publication, but use it for your own mental development. Start an IRA or a 401-K plan at work or on your own. It is never too late to start an IRA or a 401-K plan, but the earlier the better to take advantage of compound interest effect and dividend reinvestment opportunities. Some business are transitioning from a pension plans to IRA or 401-K, with matching funds up to six percent (6%) with payroll deduction. Small investments make the biggest differences over time. Time is really money! In the book The Richest Man in Babylon by George Samuel Clason, George Clason stated that even investing as little as ten percent (10%) of your monthly income into an IRA or 401-K can have a major impact on the future value of your investment. Over your career of 25 to 30 years based on your weekly or monthly contribution, this could provide you between $500,000.00 to $1,250,000.00 to retire and start something you want to do, instead of something you have to do. This is the true meaning of independence. Eighty percent (80%) of the jobs in the near future will require only an Associate, based on Specialized Technology or Vo-Tech Degree. The highest paying jobs right out of school are based in technology with specialized skills like robotics, computers, welding, electricians/linemen, engineering techs, and nursing for example. It is never too late to go back to school to get retrained in a specialized technology field. Even if you have an existing career in another field, it is a great idea to attend a Community College or Vo-Tech school to pick up a trade. These trades can be used for a second supplemental career or for retirement as a part-time job. These second careers can include fields like welding, electrical, carpentry, journalism, and landscaping, for example. An active lifestyle is a healthy lifestyle. An excellent example of a Trade and Craft Training center is the Back Channel School that teaches furniture-type woodworking. This trade school is located minutes from downtown Pittsburgh, PA, in McKees Rocks. This is based on a Master Craftsmen and Artisan curriculum. Dante Dilanni is the master instructor and owner of the trade school. Back Channel contact information is 412-331-0009. Making a passion, like woodworking, welding, or other trades, into your post-retirement profession is not only a great opportunity to help others in your available time, but this helps retirees remain healthy, both physically and mentally. Develop a rapport with an individual who has your total confidence and trust, other than a family member. Great traits of a close friendship are nonjudgmental, acceptance of who you are and who they are, accessible, available, mutual respect, appreciation of your view, help you move, put up with your golf game, and are available for a cup of coffee. In the book Friendship Factor by Alan Loy McGinnis, Alan McGinnis describes how developing friendships with others has an important impact on the quality of life that you will have, and more importantly the influence you will have on others. There are several low impact athletic activities that can be learned and practiced. The competition component associated with these activities, like golf or even dance, has a social benefit, as well. Golf or dance can stimulate and challenge the mind as much as working a crossword puzzle. 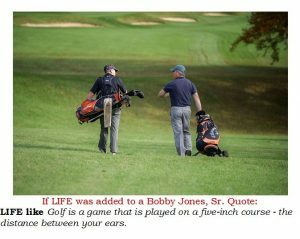 I use golf because it has a longevity component that can be played from age eight to 98, or beyond. If you want to maximize the health benefit of golf, walk the course with a push/pull golf cart. 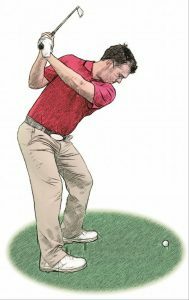 The basic golf swing mechanics in the ESPY App provide a person with a great aerobic exercise. We focus a lot of attention on physical fitness, but mental fitness is critical to a person’s health also. Reading keeps the mind active to protect against certain diseases like Alzheimer’s, or dementia, aging and reading improves memory. Books that are non-fiction improve a person socialization skills and understanding with communication and discussions. You are only as old or as young as your mind! Incorporate an active and a non-active function that has a meditation period in your daily schedule. Meditation allows a person to keep in touch with their potential and ability to enjoy their life. Take 30-minutes, preferably in the morning, to read, focus, and to establish strong principles in your life. Compromise on objectives, but not principles, and seek out endeavors that are not your own, but help others. You will find that you will get significantly more back than you give, with peace of mind and satisfaction. Develop a fitness program that consists of Cardio, Aerobics, Strength training, Plyometrics, in an Exercise Routine. 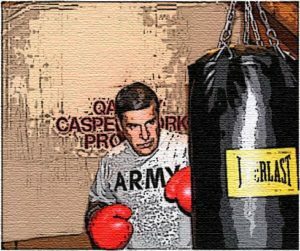 The CASPER Fitness Program doesn’t have to be aggressive or strenuous to be effective and beneficial. Take 30-minutes, three-to-four times per week, using simple equipment, like Medicine Balls, dumbbells, Ab roller, resistant tubing, and bicycle to follow the CASPER Fitness Program. Weights or resistant equipment don’t have to be over 25-lbs. Reps are the important factor. The most important part of a balanced diet program is the emphasis placed on SCHEDULE. While it is important to select foods for a balanced diet, restricting sugars and starches, it is the schedule of when you eat that is important. If you want to lose or maintain your weight, and improve blood pressure, eat your meals and snacks between the hours of 9 am to 5 pm. You will be amazed at how effective the SR-925 Diet Program is on your health. This SR-925 Diet Program is absolutely FREE to download and use. Walk 30-minutes each day for a great aerobic exercise that is low impact. This is good, especially if you have a four-legged friend to walk with. Walking after a CASPER Fitness Program is a great way to cool down to work off lactic acid that builds up in the muscles during an exercise routine. Lactic acid is what causes soreness and stiffness. As we age, flexibility and range of motion are essential to prevent falls. Falls are the number one cause of death in people over the age of 65. 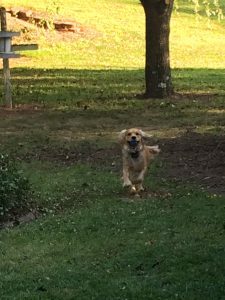 If you are serious about your health and fitness, get a dog. They will be your best fitness buddy and can accommodate your schedule. It has been well documented that drinking at least 2-cups of coffee or hot tea has several health and social benefits; refer to the health of drinking coffee link. There is nothing better than having a cup of coffee or hot tea with a friend, especially at the 19th Hole. This is time well spent. Also, drink plenty of water. 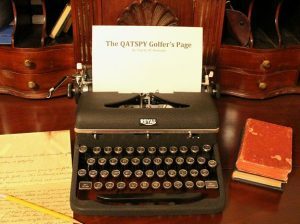 With the era of word processors and personal computers, like laptops, it is easier than ever to write down thoughts, quotes, and articles. If you are writing articles, it requires you to perform research, collect facts, analyze data, correlate drafts, and perform critical thinking. When you write down events, you engage the mind on a higher level, which improves memory. I love sports and particularly golf and fitness. I produce articles and publish them on my social media. Your articles that you write don’t have to be published, but for your own use and reference. What is surprising about your articles you write is how much you go back and refer to them at a later date. I’m forever going back to my archives and using excerpts from past articles for current articles. Writing articles improves your mental sharpness, communication skills, vocabulary, and, most importantly, your memory. Also, your family and friends can enjoy your insights from the past. This 12-point investment plan has a 600% return on your time and money. Not even Wall Street can provide that type of return. What the 600% return means is that for every dollar you spent in time and money following these 12 points, you save six dollars in health care costs (doctor visits, medication, and hospitalization). So, as a new day or year nears, learn to apply these 12-points Investment Plan for a 600% return on your time and money. I recently lost a dear friend who was a grid engineer with a utility: my counterpart in another state. In February of 1994, the Mississippi Delta had a severe ice storm that destroyed over 172 miles of their electrical transmission system. I arrived within hours of the damage at the fairgrounds in Cleveland, Mississippi. First question my friend had for me, What are you doing here? I replied, You aren’t going to have this much fun without me. I can’t think of a better place than to be in the Mississippi Delta with freezing temperatures, cold showers, no heat in the hotel rooms, and eating nabs for breakfast, lunch, and dinner. Who would pass up a chance to do something they’ve trained a lifetime for, this only comes around once in a person’s career? From that day forward, we had a close friendship that could only be described as a brother or sister relationship. My friend never failed to assist me when I needed help. He always picked up the phone on the first ring without fail. 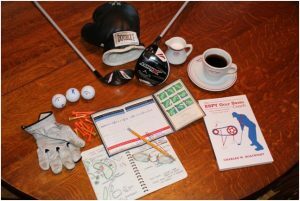 This book is based on a self-coaching forum (ASPEN Pyramid) that provides the beginner and advanced single-digit handicap golfer with a safe, ergonomic classic golf swing for more power and control, without debilitating injuries that are common with some modern-day golf swings. 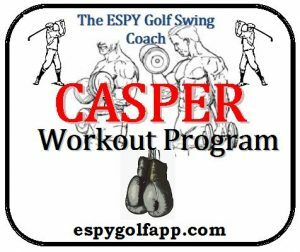 As part of the ESPY Golf Swing Coach is a workout program designed especially for golfers and an effective diet program detailed above in this 12-Point Investment Plan. 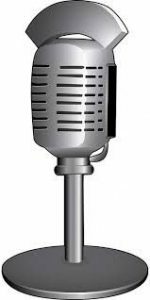 I would like to recommend an interesting radio program that I regularly listen to from my home state Arkansas on my I-Heart Radio app on KARN 102.9 FM station, out of Little Rock, AR. They air a golf show called Arkansas Fairways and Greens, at 7:00 AM CT each Saturday morning, hosted by Bob Steel, and co-hosted by Jay Fox and Charles Crowson. Bob occasionally as has his guess Alex Myers with and Ron Sirak with Golf Digest. 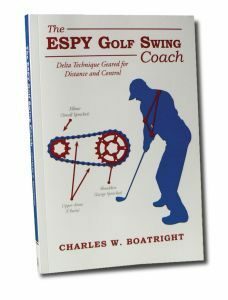 I was interviewed on his show about my book, The ESPY Golf Swing Coach, by Bob Steel. This show is worth tuning into for golf news and information. 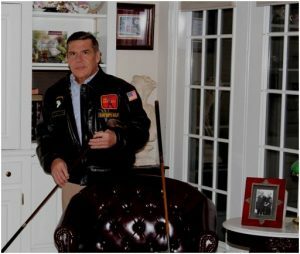 Jay Fox is an Administrator with Arkansas State Golf Association (ASGA) and discusses amateur golf and rules of the game. So pour up a cup of coffee and enjoy an hour of informative discussion about the sport of golf and its impact on improving our lives. Most states have either a State Golf Association and/or a P.J. Boatwright Internship that homeschooled students can take advantage of to help them establish an athletic activity into their curriculum. The State Golf Association provides young students with the ability to track and document their handicap, while competing in tournaments. Golf is an excellent sport that homeschooled students can compete in, either on an individual or a team level without risk of severe injuries. The majority of Colleges offer scholarships to students to help them continue their passion for the sport of golf.